It has been a while since I have guest posted over at Make It - Love it, But I am really excited to be back over there today with a fun tutorial! 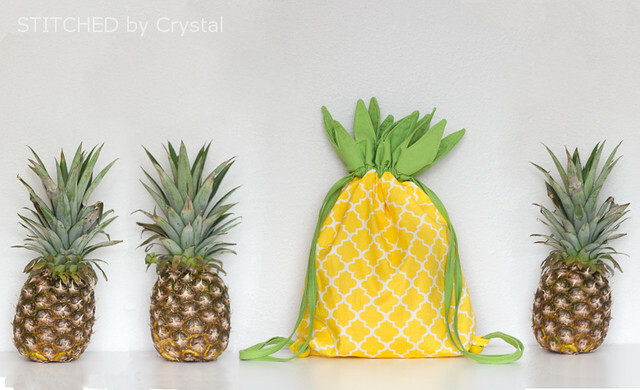 If you didn't get enough fun fruity bags from my post a few weeks ago make sure you check this out! 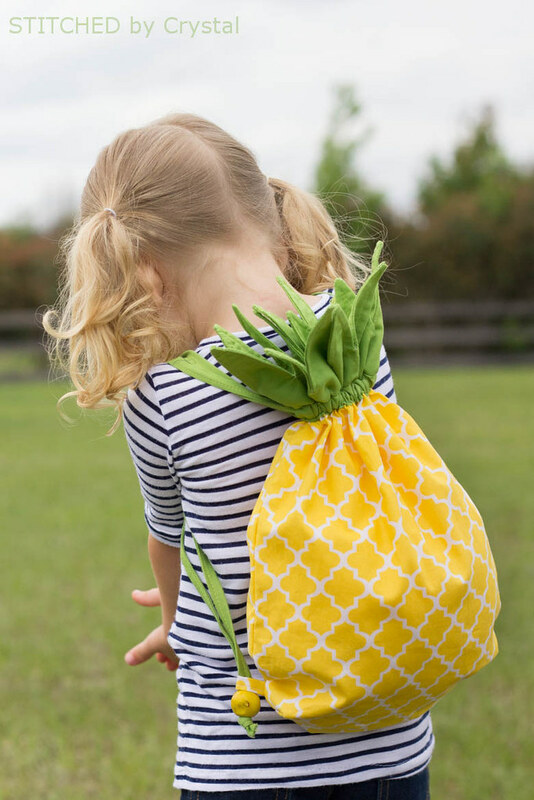 I am sharing a fruity backpack inspired by my favorite fruit...the pineapple! Super fun, right?! Make sure you head over and check it out!! Made two of these, one for each of my granddaughters. They loved them. The backpack is perfect for a field trip at school. Just the right size for a water bottle, a lunch and a small wallet. Thank you for making this project available for everyone and for making the instructions easy to follow. 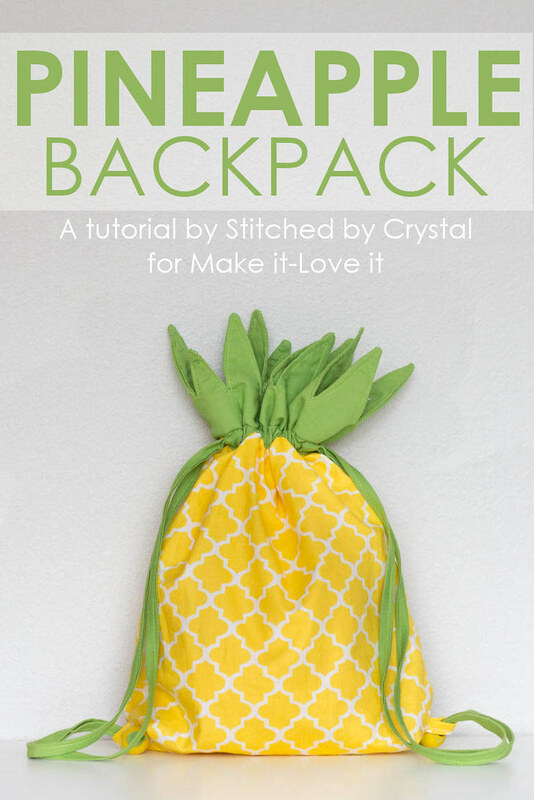 I went back to to the site to make another backpack as a gift for my little neighbor girl,but I had trouble accessing the tutorial because the ads kept jumping to the top of the site. I would scroll down to read the measurements needed and the site kept advancing the ads back to the top. Has anyone else had this problem? I found so many interesting stuff in your blog especially its discussion Really its great article Keep it up .